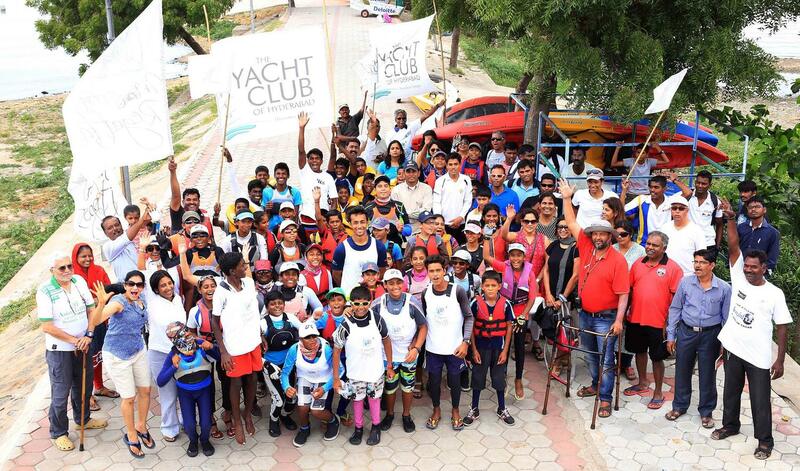 Sailing for Kids: An Intensive introduction to Sailing and Kayaking specially designed for kids and coached by professionals who have produced National champions. Kids between 8 and 15 can attend and learn all the basics across 9 spectacular sessions (3 a day) that will include an interesting combination of Sailing and Kayaking. Kids will enjoy the first thrill of boat steering and handling and learn interesting sailing knots to the theory of how boats move with the wind. The Olympic sport of sailing is cerebral and challenging and will build the child's self confidence and assurance. The course will be mostly hands on and kids will also learn to steer a Kayak and race one if the weather is not conducive to Sailing.Gift your kids a life skill in just three intensive days of coaching and introduce them to a safe adventure sport.Refreshments , water and a good healthy working lunch will be provided for on all three days, saving you a load of trouble. Kids will have prepared themselves for the advanced courses in just 3 days. All this at just Rs.5000/- per young sailor. Kids who want to spend extra time post the morning session are welcome.